Cadet Ambush Waterproof Boot is light and tough. 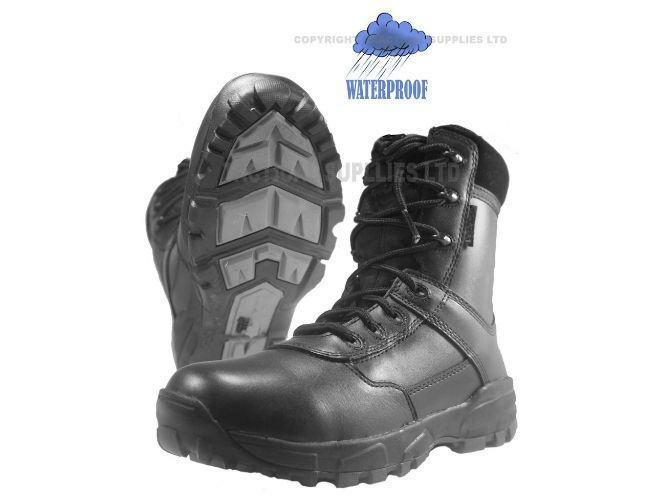 Super duper Lightweight, idea for outdoors activities and pounding pavements This is good for those who are on their feet a all day and need a military boot that is really light,durable and comfy cadet boots. The Ambush boots are a becoming more popular with the Cadets, security and police forces. Make no mistake these are good boots and properly made to give toughness with comfort in any difficult or smooth ground. These boots eat bad weather for breakfast and with the waterproof sock will keep you dry. The are made from action leather with sure grip soles so you will have good grip on any surface. This cadet ambush boot is only just come onto the market in the last few years and has sold well with repeat buys. Because of the value for money it has become a good substitute for more expensive boots. 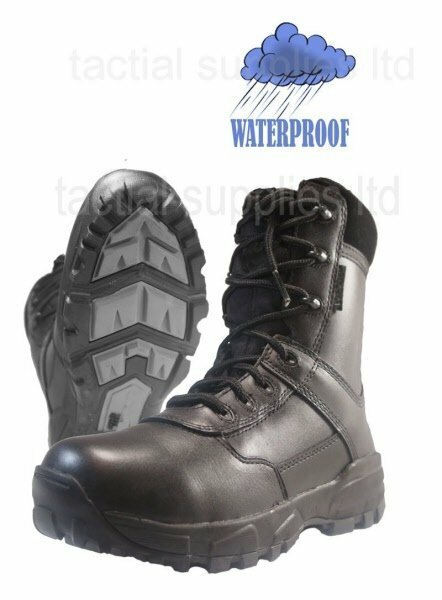 Best for lighter work such as security guards and Cadets.This is a cool looking boot and takes on a traditional style away from the old toe cap style boots. Grafters 8 Inch Leather Ambush Waterproof. Always keep your boots in good condition by keeping them well aired and clean after use.